Banitsa is not only a national symbol but also a favorite food to most Bulgarians. It is perfect for a breakfast, lunch and even for dinner! It is served on weddings, christenings and on every other occasion that you can think of. There are countless varieties, but we choose the best and most delicious ones that will become your favorite food while you are in Bulgaria. And even after that. The banitsa with Turkish delight is prepared with store-bought pastry sheets or with homemade ones. It is usually made with relatively dry pastry sheets and has a taste similar to the popular Turkish delight waffles. Influenced by the pre-oriental traditions of preparing sweet banitsa’s similar to baklava, in Bulgaria are also popular recipes which resemble (or repeat) existing ones from this region. Example for that is the banitsa with tahini halva, which is not very popular, but it is prepared in many places, mainly in the South-East and partly in northeastern Bulgaria. This is a popular type of banitsa in all parts of Bulgaria. It is prepared like a rolled banitsa, with a stuffing of minced meat. They are two distinct varieties. One of the types is with fried minced meat and onion and the second one is with minced meat and rice. Most commonly is used the Beef minced meat, or in a combination with pork meat. Banitsa with fish can be prepared in two ways. The first one is similar to the banitsa with vegetables or rice but has chopped pieces of fish meat in it. The second way to prepare banitsa with fish is like a dish – bigger fish is chosen (most of the times it is a carp), packed in pastry and baked in the oven. There is also a version in which the carp is filled with rice and vegetables before it is packed in the pastry. In the Bulgarian customs, the fish banitsa is a ritual dish which is prepared traditionally on Saint Nicholas Day. Recently, in many places, they call Ribnik the stuffed baked fish not packed in pastry, but this is inaccurate to the Bulgarian traditional ideas for this dish. Strandzha klin is a type of bakery product, which is debatable to be called banitsa, but it has a similar taste. It is made from the dough as very thin bread (similar to the Italian pizza) and is baked in an open oven or on a hot plate with turning. It is like stuffed pastry, similar to the Italian pizza calzone. The most wide-spread stuffing’s are a mixture of rice, white cheese, and eggs or a mixture of minced meat with vegetables. It is assumed that the traditional klin is the one made with minced meat or chopped meat, with spices and vegetables. 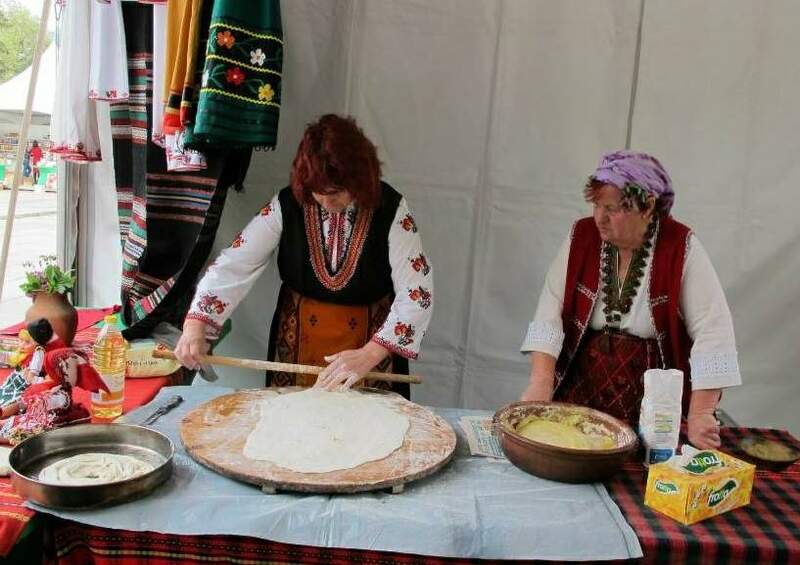 Several of our programs include cooking lessons, during which you will learn to make a banitsa yourself.